It's been a few days since this year's San Diego Comic Con wrapped up. With this year's event featuring an embarrassment of riches for animation fans, we thought it was worth rounding up the cream of the animation news that came out of the show. Via the trailer shown at the Voltron Legendary Defender panel, it was announced that the second season would hit Netflix in 'late 2016'. A more specific release date is to be announced. The second season's plot will pick up after the first season's cliffhanger. Another fantastic trailer was released for The Lego Batman Movie. Get your first look at the movie's take on Robin, as portrayed by Michael Cera. 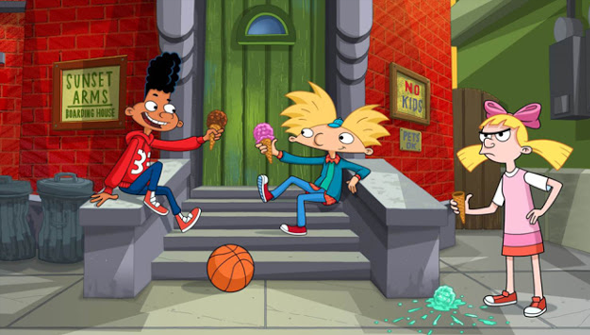 Get your first look at the new character designs for Hey Arnold The Jungle Movie. Meanwhile in Marvel news, a new animated Avengers series based on Secret Wars is coming, alongside a new animated movie featuring Hulk, Doctor Strange and The Howling Commandos. 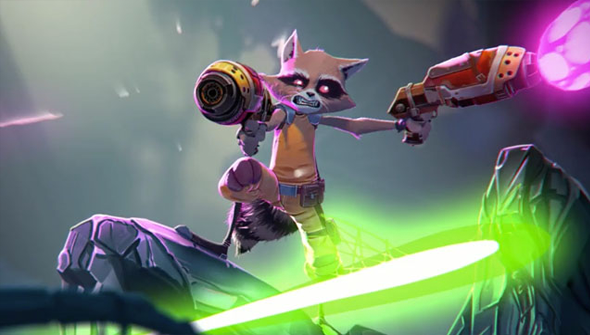 But best of all, Guardians of the Galaxy's Rocket and Groot are to star in a series of shorts from Passion Pictures - get a look at the clip below! The forthcoming movie adaptation of the manga BLAME! created by Tsutomu Nihei, will be a Netflix Exclusive. Warner Bros. is developing an animated Pepe Le Pew movie, based on an original pitch and script by controversial figure Max Landis. Funimation will release a 10th-anniversary edition Ergo Proxy on Blu-ray, and confirmed a September release for Seraph Of The End collector's edition. Seth Rogen's 'adult' animation Sausage Party premiered at the event, and a new red-band (NSFW) trailer was released. Cartoon Network released this preview clip from an upcoming new episode of Steven Universe.